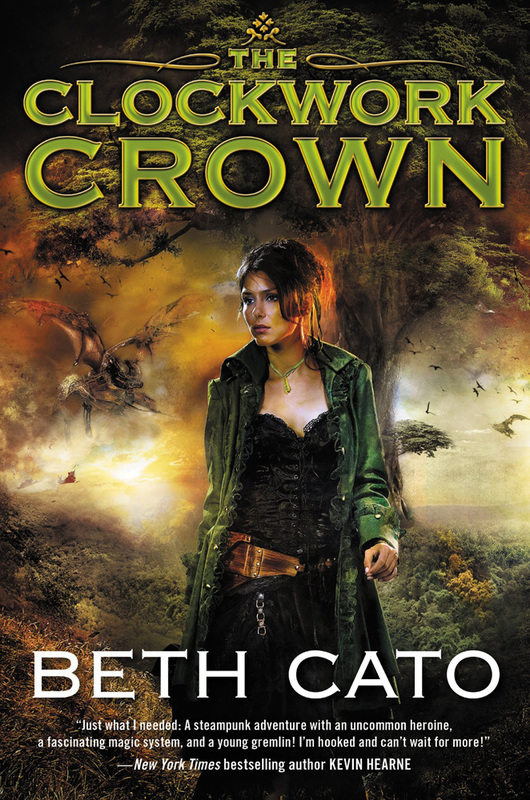 Posted by Beth on Apr 30, 2015 in Blog, clockwork crown, reviews | Comments Off on Four and a Half Stars! Oh my! 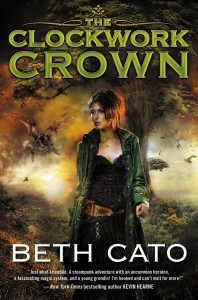 RT Book Reviews gave The Clockwork Crown a whopping 4 1/2 Stars! This sequel to Cato’s amazing steampunk adventure The Clockwork Dagger has all the imagination, treachery and nonstop thrills of the first. Magical healer Octavia Leander is both fleeing assassins and hunting for answers regarding the transformation she appears to be undergoing. Just try catching your breath as this electrifying tale races across exotic lands in a desperate quest to find the truth and stop a potential apocalypse. Cato and steampunk fantasy are truly an excellent match! You can read the full review over here–it is spoilerish if you haven’t read Dagger yet. I present to you one of my favorite stand-by recipes, one of the first that I mastered as a newlywed. I originally featured this recipe on Bready or Not back in 2012. I didn’t have as many blog readers then, and my pictures sucked, so I decided it was time to share the recipe again. It’s worthy of the repeat. There’s a lot to love about the recipe. It’s quick and easy to make. 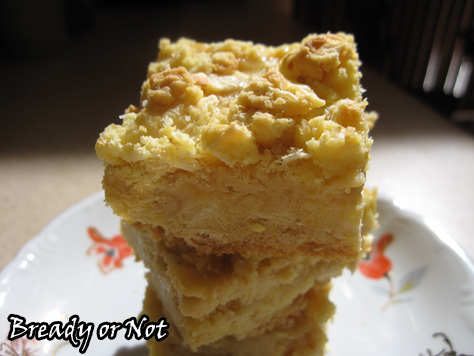 Lemon or yellow cake mix forms the base; there’s no major taste difference between the two. You get to smash up crackers, which is fun. 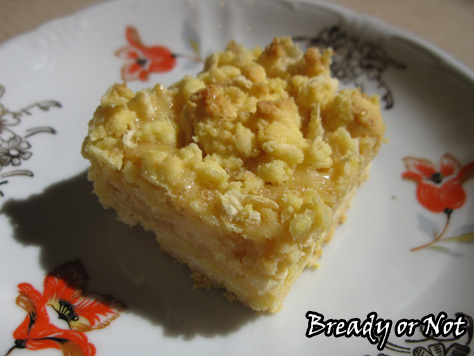 Cake mix and cracker crumble. The resulting taste is a mix of lemon, a touch of sweetness, and saltiness, and it works so well. I’ve tried other lemon recipes that have a thicker custard layer, and they don’t keep or travel well. These do. They should be chilled, but they remain solid to pack in a lunch or to bring to a potluck. 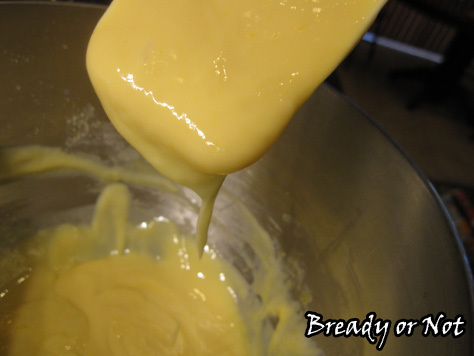 Smooth mix of condensed milk, lemon juice, and egg yolks. These are really the perfect summer dessert. Lemony, sweet, salty. Cool to the tongue. Plus, they are pretty–ah, the pictures turned out so much better this time around! See? These lemon bars are downright photogenic AND delicious. Originally posted on Bready or Not in 2012; based on recipe from a Real Lemon juice advertisement. 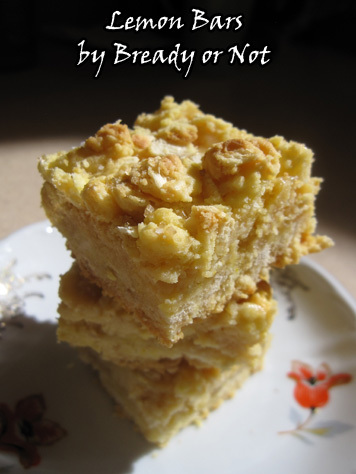 Easy and portable lemon bars made using a box of cake mix. Get out a jelly roll pan and line it with parchment paper. This will make clean-up a breeze. Preheat oven to 350-degrees. 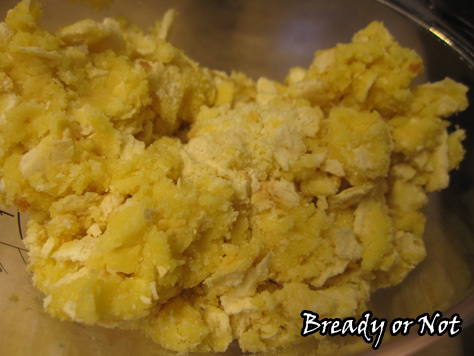 In a large bowl, beat cake mix, butter, and one egg until mixture is crumbly. Stir in saltine crumbs. 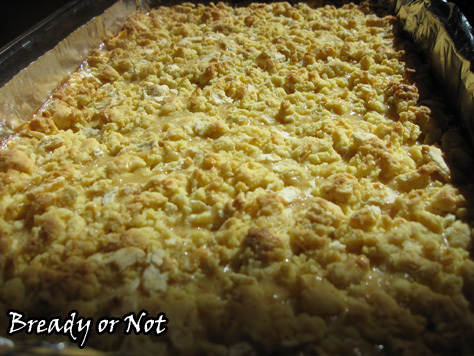 Reserving two cups of the crumb mixture, press remaining crumbs on bottom of the parchment-lined pan. Use your fingers to mush it as evenly as possible. Bake 15 to 20 minutes or until golden. With wire whisk, beat 2 egg yolks, sweetened condensed milk and lemon juice. Spread over prepared crust using a spatula or the back of a spoon. Evenly top with reserved crumb mixture. Bake 25 minutes longer or until set and top is golden. Let cool. Refrigerate within 2 hours. Cut into bars. Store covered in fridge. “The Deepest Poison” is out! 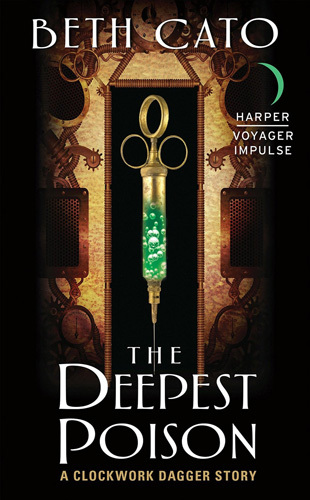 Posted by Beth on Apr 28, 2015 in Blog, clockwork dagger shorts | Comments Off on “The Deepest Poison” is out! Today is the release date for my Clockwork Dagger short story, “The Deepest Poison!” It’s on all electronic platforms and sells for under a buck. It’s about 7,000 words, so it’s a pretty hefty story for the money, too. If you want to check out some reviews, there are some here and there. It can be read before or after The Clockwork Dagger. What it’s about: Octavia Leander, a young healer with incredible powers, has found her place among Miss Percival’s medicians-in-training. Called to the frontlines of a never-ending war between Caskentia and the immoral Wasters, the two women must uncover the source of a devastating illness that is killing thousands of soldiers. But when Octavia’s natural talents far outshine her teacher’s, jealousy threatens to destroy their relationship—as time runs out to save the encampment. Fans of Beth Cato’s debut, The Clockwork Dagger, will love this journey into Octavia’s past—as well as an exclusive excerpt from the sequel, The Clockwork Crown! Thanks! If you read it, please review it and spread the word, too. Every bit helps. It’s end of the month catch-up-time here. I spent the weekend revising a big batch of poems I wrote during November Poem-A-Day–yes, I’m that behind on things. The next order of business will involve sending out poems (poetry editors: brace yourselves). I have a month until Phoenix Comicon (my panel schedule is online!) followed by the release of Clockwork Crown, so life will soon escalate in craziness. And hey, there’s a lot of other cool stuff to share, too. – Have you ever wondered what a literary publicist actually does? One of my fellow Harper Voyager authors interviewed our publicist! – Author Teresa Frohock invited me to her blog, where I discuss medicine and magic in “The Deepest Poison” and The Clockwork Dagger series. If you want to read about World War I medicine, I list the books I used as sources! 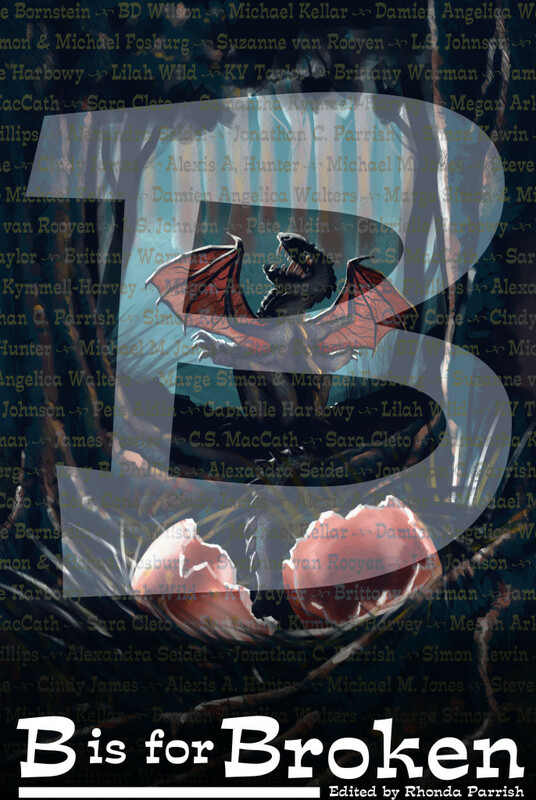 – Editor Rhonda Parrish revealed the cover for B is for Broken. I have a flash story in here for the letter K. There’s also a Goodreads giveaway to win a copy of the book. – AFE Smith asks me about the books and goodies I’d bring to a desert island. 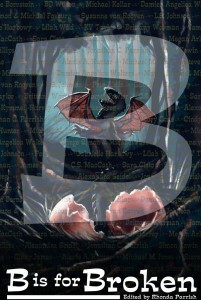 – Rhonda Parrish questions me about my story in the FAE anthology over at World Weaver Press. 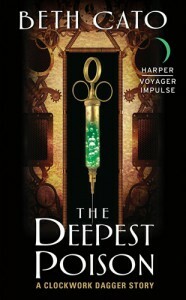 Tomorrow is the release day for “The Deepest Poison!” Whee!